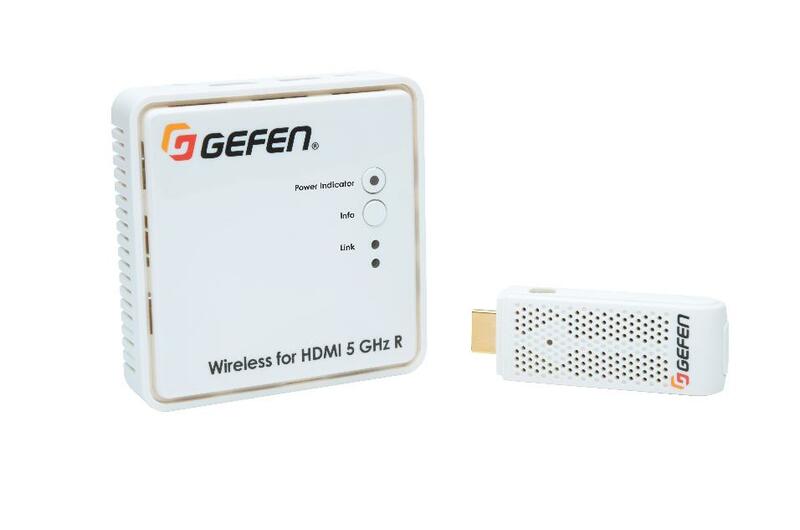 Audio and hdmi extender "wireless" video with a range up to 10 meters without cables. It does not require line of sight between transmitter and receiver is not necessary to install any software. It supports hdcp content from computers, set-top boxees, blu-ray and other sources. The system consists of a transmitter and a receiver. The small "stick" is directly connected to an hdmi port and can be powered from a usb port or power supply. The receiver unit is connected to a display with an hdmi input, using the supplied hdmi cable. Thanks to the small size of the recipient, low profile module and ir extender cable included, it can be hidden behind a screen or inside a closet if needed. You can connect up to eight stations accessing the receiver, one at a time, using his handheld remote control. (1) Up to two emitter - receiver assemblies can operate in an environment of 10 meters at a time, respecting a minimum separation of 1.2 meters between emitters. For more information, refer to the user manual. (3) If more than one transmitter is connected to a receiver, the emitters (HDMI sticks) must be at least 1.2 meters apart. For more information, refer to the user manual. (3) This equipment works in the 5 GHz band. 5 Ghz Wi-Fi networks may occasionally affect image quality in specific situations. For more information, refer to the user manual.